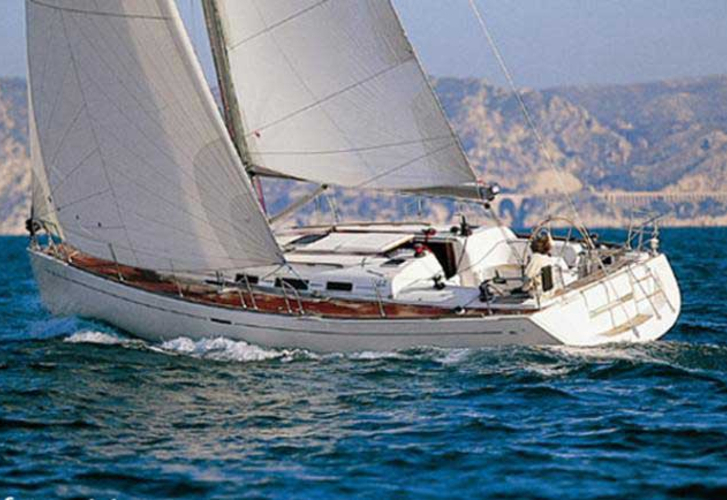 Sailing yacht Dufour 44 named Santorini was produced in 2007. 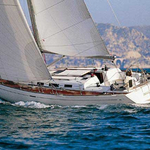 We propose this sailboat from marina Split in region close to Split. Santorini is certified for 10 pax. Layout of the sailboat is 10 (8+2). 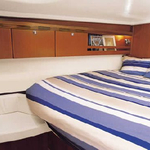 Dufour 44 Santorini has 4 cabins. For guests disposal there are 2 WC with showers. 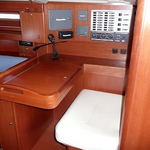 You can fill the diesel tank with 115.00 l liters and in water container it goes even 360.00 l l. With engine Yanmar 48 hp Santorini can sail really fast. Santorini is 13.45 meters long and 4.00 m wide. 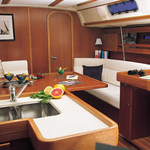 Depth is 1.95 m. Use our search engine to find more vessels by moving to this section: Yacht charter Split. 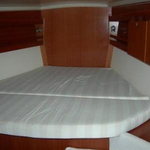 Security deposit is at the level of 1600.00 EUR. 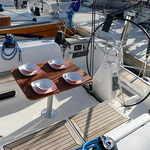 Choose our offer and have good time on the deck of Santorini. 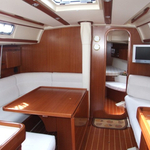 This Dufour 44 from Split from Croatia Use the search engine for search for right here: Yacht charter Croatia.